Bring a pot of lightly salted water to a boil and add edamame and boil for 3 minutes. Add corn to the boiling water and continue cooking for 1 more minute. 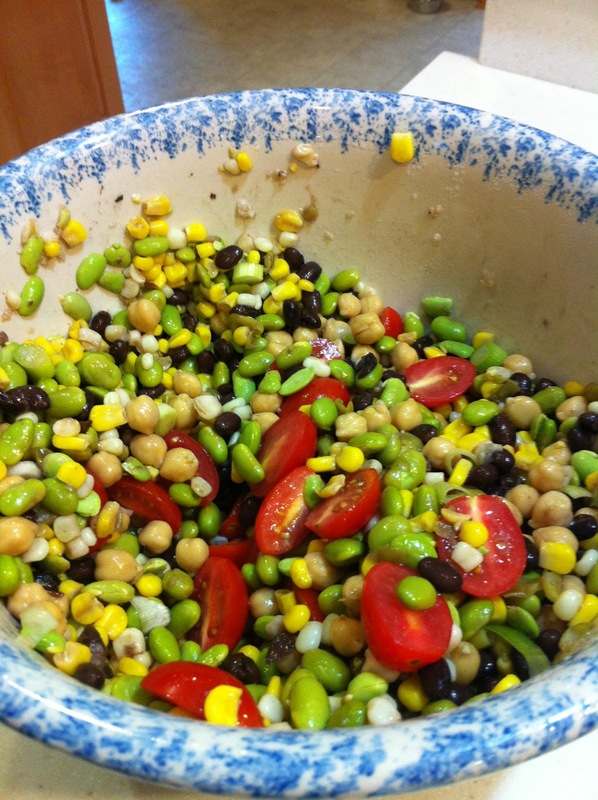 Drain very well and pour into the bowl with the dressing. 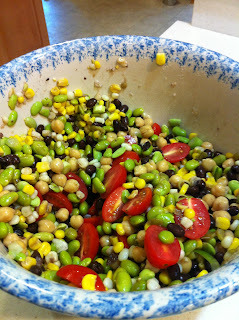 Gently mix in the cherry tomato's, green onions and black beans. Refrigerate at least 2 hours before serving!